On April 16, eight teams will meet in India to distribute the prize pool in the sum of $300,000 and to determine the best player of the competition, which will receive Mercedes-Benz from sponsors. Eight teams from various parts of the world will take part in the competition, three of which have received a direct invitation and five slots have been taken by the winners of the qualifiers in Europe, China, Southeast Asia, India, and North America. All participants have been divided into two groups where they will see a GSL system. By the way, the group stage is not very important because none of the teams will be eliminated on the outcome of it. The final places of the rosters in quartets will only influence the seeding in the playoff bracket. The participants will see a double-elimination bracket with a bo3 matches in the final stage and a team will have to win at least three maps in the grand final. The company ESL, which is probably the most experienced in its business, organizes the championship. More than 50 hosted Dota 2 and CS:GO tournaments are under its belt, so it’s not worth to doubt about the quality of the organizing, however, tournaments in India usually make a bad impression due to regular delays, streaming issues and weather, which doesn’t suit everyone. The tournament doesn’t differ with importance because it’s not part of the rating system by Valve. 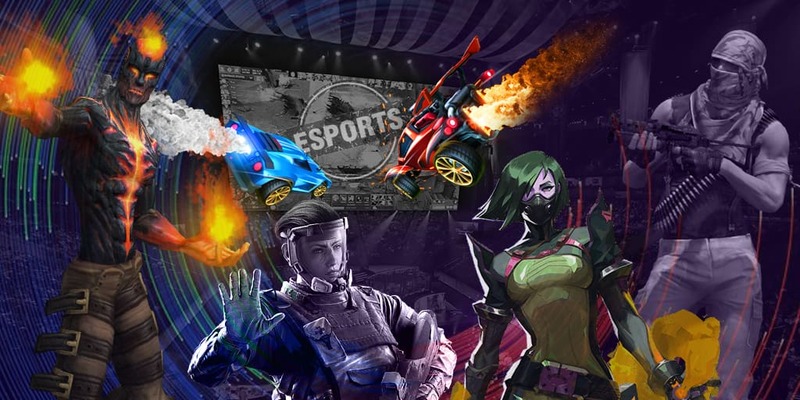 The tops of the modern esports are not very motivated to go to such events, especially in India, however, this is a very good chance to prove themselves and to earn financial resources for teams like Signify. The event’s prize pool amounts traditionally $300,000, however, the feature of the ESL championships is an awarding of a check on a new car by Mercedes-Benz from sponsors. The distribution of the prize pool is unknown at the moment because five teams have refused from the participation and eight teams will take part in the competition instead of 12. All above-mentioned teams have very good chances to win, according to bookmakers, because these teams have been performing well at various tournaments and qualifiers. We agree that Keen Gaming and Mineski might get to the grand final without issues but TNC Predator doesn’t inspire confidence because, after the victory at WESG 2018, the team looks pretty unconfidently and has failed qualifications to OGA Dota PIT Minor 2019 and MDL Disneyland® Paris. The Indian team from Signify can be called the only obvious outsider of the competition, which hasn’t shown itself from a better side at large competitions. Despite this, we would not write them off because they have recently won ESL India Premiership 2018 Winter and also placed 3rd-4th at Cobx Masters 2019 Phase II and DreamHack Mumbai Invitational 2018. Natus Vincere, compLexity Gaming, The Pango and “Team Team” are “average teams”, which are difficult to be expected unambiguous results. For example, Natus Vincere will come to the tournament with a stand-in and the roster has recently started playing a bit weaker in general and sources, which are close to the team, state that there will be replacements before The International. In its turn, The Pango have failed qualifications to rating tournaments and already made two replacements on the main roster. The roster has started playing online way better, however, we have not been able to see them in action at various large tournaments yet, so it is very difficult to estimate their level of skill. The two North American teams, namely Team Team and compLexity Gaming can be said that they are unlikely to win the tournament but they have come to the tournament not to hold the last place, Both compLexity and Team Team can beat even obvious favorites but they might fail on a long distance.